Hello, my friend. 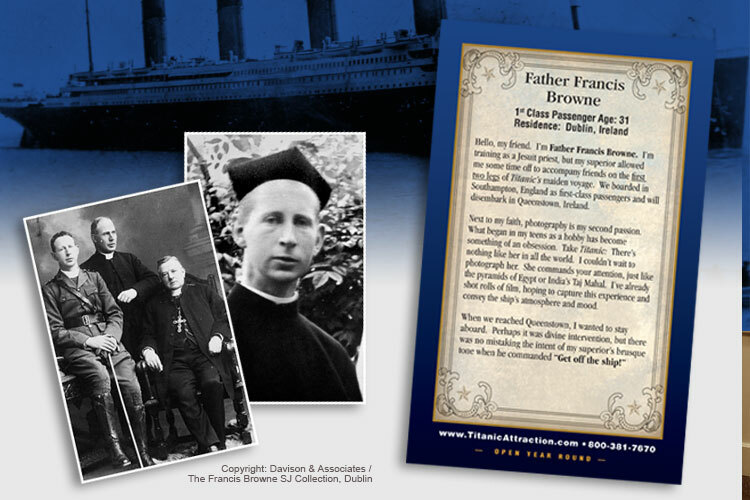 I’m Father Francis Browne. I’m training as a Jesuit priest, but my superior allowed me some time off to accompany friends on the first two legs of Titanic’s maiden voyage. We boarded in Southampton, England as first-class passengers and will disembark in Queenstown, Ireland. Next to my faith, photography is my second passion. What began in my teens as a hobby has become something of an obsession. Take Titanic: There’s nothing like her in all the world. I couldn’t wait to photograph her. She commands your attention, just like the pyramids of Egypt or India’s Taj Mahal. I’ve already shot rolls of film, hoping to capture this experience and convey the ship’s atmosphere and mood. 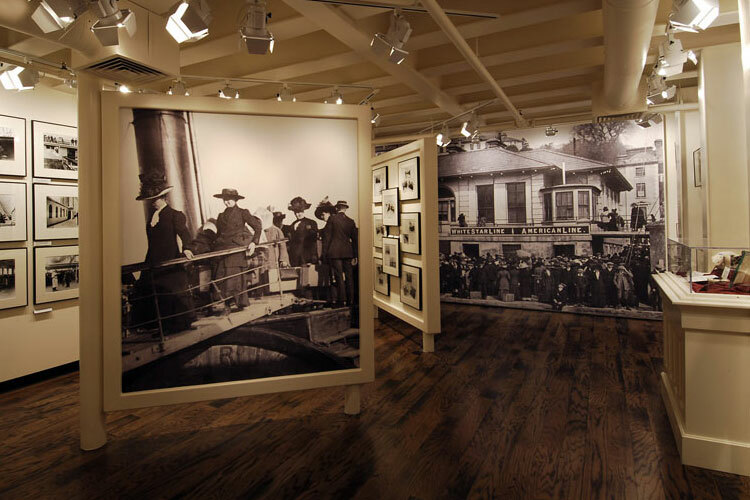 I wanted to extend to you a word of appreciation for allowing me to tour the Titanic Museum for free. I was surprised to learn on your website that you were allowing pastors & clergy free admission during Clergy Appreciation Month. My family & I were staying in Gatlinburg during our fall break last week, and a friend of mine who lives in Sevierville suggested that we visit your attraction. We went on Wednesday, our last day there, and I must say that it was well worth the visit! I especially liked how you highlighted several of the stories of the ministers & clergy who were on board. During registration, I was given a "Religious Heroes of Titanic" brochure that detailed the story of Reverend John Harper, a fellow Baptist minister. It is reported that he was last seen pleading with a young man to come to Christ. That testimony really touched me, and has inspired me to be bolder in my personal witness for the Lord. Again thank you for acknowledging myself & my fellow ministers during Clergy Appreciation Month. In today’s society where people with religious affiliations are being suppressed, it is great to see an organization like yours who recognizes the sacrifices that ministers make for the cause of Christ. I will certainly recommend your attraction to everyone visiting your area. Thanks again, and God’s richest blessings to you!